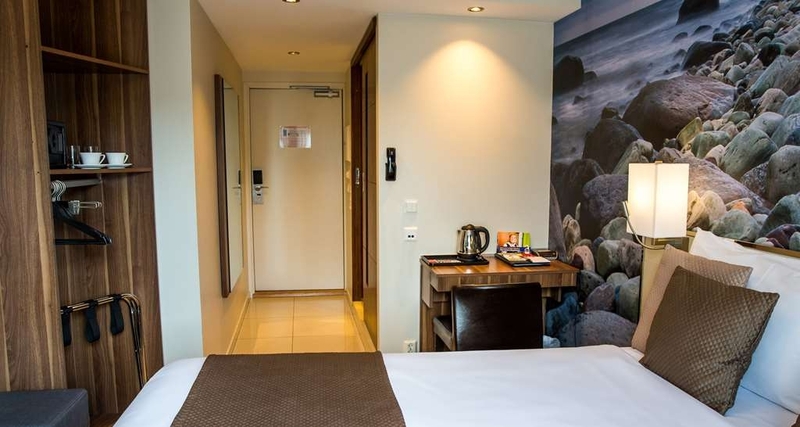 The Best Western Kampen Hotell is ideally located in the center of Oslo. Come and experience our hotel near the major tourist attractions. Best price guaranteed and exclusive deals. The Best Western Kampen Hotell is a new apartment hotel, located in the exciting part of Oslo city named Toyen/Kampen. In a flourishing area with ethnic and International shopping, banks, business area and entertainment. The Munch Museum, housing all major works by world famous artist, Edvard Munch, is nearby. The Botanical Garden, Aqualand, and hiking areas are close to the city center. We are near to public transportation and are a convenient location. Our multi-lingual staff takes pride in providing personalized service. Shabby and old. The sofa bed wasn't made, and once unfolded it was broken. We had to sleep on it despite complaint - they had no other rooms and refused to cancel our reservation. The food extremely overpriced. No parking unless booked ahead. Won't come again - ever. Room slept 4 but had only one queen bed and then one hide-a-bed. The hide-a-bed was very uncomfortable. The room was clean but very hot and we were unable to adjust the room temp. other than by opening the window in the room. Stayed here with business. Food service in evening is super slow but quality is good. Breakfast there is plenty to choose from. My room was super small, two single quilts rather than a double. Pillows lumpy and dirty mug not cleaned away, just left and coffee not refreshed. Depends what you're looking for this could be the hotel for you. This is a Best Western hotel and was typical in layout and furnishings. The level of cleanliness of the room was high and it was quiet even though our room faced the main road. I did not have breakfast but noticed there were plenty who did and at the price, it seemed very good value for Oslo. Most of the negative reviews seem to be for the apartments, but l have no complaints about the hotel. 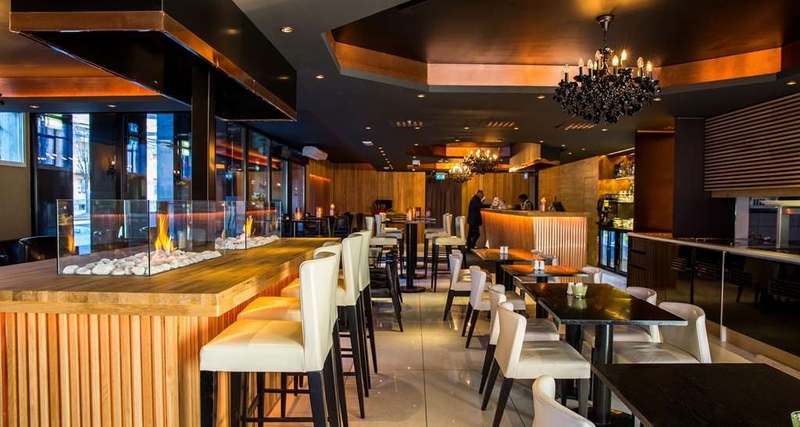 The hotel is located about 250m from Toyen station which in turn is two stops from Jernbanetorget (Central Railway Stn) on any one of five lines. Once you have found the small shopping centre it is a case of walking through and across the main road, but if in doubt ask one of the locals. The breakfast is very good with enough choice to satisfy any appetite and the bedroom I had was good although the pillows were not brilliant and there was a bit of noise from the main road at the front. 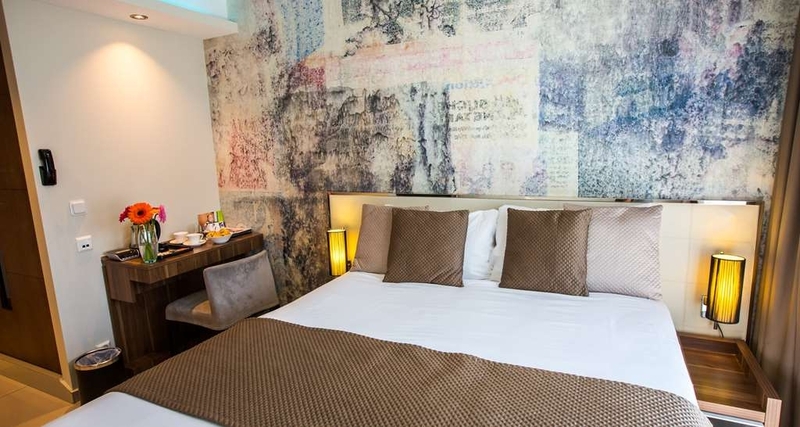 The hotel is situated within walking distance of the Munch museum and Botanical gardens, and because it is so close to the metro/subway system is ideal as a base for sightseeing. The hotel staff are very helpful too. Well recommended but check whether your breakfast is included or you have to pay separately or go to the pastry shop in the arcade. "Small room and smiles are extra"
Nothing really wrong, but utterly uninspiring. My double room had space for a comfy bed, but little else. Bathroom small (1 person only) but working. A plus for a water heater. Breakfast being served, but only from 7:00 which meant I had to leave before. Plus for the opportunity to have breakfast to go. Uninspiring lobby / bar / restaurant area. A 3 min walk to the metro. Convenience shop at petrol station close by can be recommended. Small center with bakery and eateries by metro station. All in all working, but not inspiring. And no smiles, neither at check-in or check-out. We stayed 3 nights for a city break. The hotel is located quite close to the city centre but is still a good 20-25 minute uphill walk. It does however have a metro close by a few stops from central.The hotel itself has an ok reception but the staff are very rude. One receptionist was shouting at waiting customers when we came back one evening. The receptionist who served us first gave us a double room even though we had paid more for a business room. We went to the double room and could hardly move in the room. The bed was tiny and a very very squashed room. We complained and said that we had been given the wrong room. After some time she apologised and gave us the correct room. Much bigger with a seperate bedroom. It had a kitchen but it didnt have an oven or any kitchen utensils to cook with. Only basic cutlery and a couple of small bowls, cups and plates. The room is in need of a redecoration. There was a hole in the wall, the bedroom door was hanging off, the headboard has lots of rips in it and the sofa was very uncomfortable. There is a telephone but it didn't have a dialling tone and there is no welcome pack to give you a number to call reception. It does have a nice balcony but the door couldn't be opened because of the sofa in the way. The double bed is very hard and they provided one pillow. There is 2 very thin single duvets which would never keep you warm on a cold Norwegian night. We asked for another 2 pillows from reception. We were told that housekeeping would deliver them but nobody arrived. A few hours later I asked again at reception and was told there wasn't any pillows. After asking again I was finally given another 2 pillows reluctantly. The room was cleaned each day but one of our room keys was taken. After complaining at reception it happened to reappear the following day! I would not recommend anyone staying here! Paying a little more may get you a much better hotel and experience. "Very small room but close to the metro station"
We stayed 3 nights and all over the experience was good. The room was very, very small : we had space just 1m around the bed and that was all. Instead of that, we had a small kitchenette with all you need for preparing something for breakfast and we could make some tea or coffee. Close from the hotel there is a market where you can buy food and a metro station is near. Also the Munch Museum and Botanical Garden are close to the hotel and in 20-30 min walk you can reach the City Center or the Central Train station. The room was very clean and the price was lower than the other hotels in that area. "Don't believe all the negative reviews!" We stayed one night at the Best Western Kåmpen Hotell on the last night of a 10 day Scandinavian Trip. I'd booked the hotel a few months ago and chose it on price and that it didn't look too far from the centre/metro. On our way To Oslo I looked at the up to date reviews just to remind myself of where we were staying and my heart sank!! I was dreading check-in and expected to be disappointed. We were very pleasantly surprised! When when we checked in I asked if it was possible to ensure we had a double bed, (the booking only gave me the option of a twin room) and the lovely gentleman, Robin, behind reception answered, with a big smile, I'll make sure you have a nice room, don't worry. Check in was easy, the reception area is modern and welcoming. We also didn't have a plug adapter with us and Robin went out of his way to find one to lend to us with a USB attachment as he knew it was for our phones. We were on the first floor, all the floors are typical European hard tiled floors so everything is easy to keep clean. The doors look very industrial, but I guess that also means fire proof! On entering our room we were more than impressed. Robin had given us a two floor apartment. We had 3 double bedrooms, a good size shower room with a washing machine, a small kitchenette with fridge freezer and a large spacious living/dining area. The apartment was light, open and well lit, clean and tidy. The shower was hot and powerful. The only negatives, and these are minor, there was a crack in the bathroom sink, the woodwork was a little wonky in the bathroom and there wasn't any hotel info in the room. Our phone to reception also didn't work but it didn't take more than 30 seconds to get to reception using my legs! Considering we were over reception and the bar area, we weren't disturbed at all. We chose to have dinner in the hotel restaurant instead of going out. We were served by a lovely and helpful Lithuanian girl called Gabidja (I think) she was very helpful, worked hard and always had a smile on her face. The menu isn't cheap (I'm not sure anywhere in Scandinavia is!) but between us we had a burger and chilli beef nachos. The portions were generous and the food hot and tasty. The kitchen is open so you can see the chef preparing the food and she did it seamlessly. All drinks are expensive too. We had a couple of ciders which cost the equivalent of £7 each. The breakfast the following morning was again plentiful and covered all tastes. Bread and rolls, meats, pâtés, cereals, yoghurt, cake, fried and scrambled eggs, bacon, sausages, beans, cheeses, fruit and you could even make your own waffles. The hotel is very close to a busy square, full of cafes, restaurants and bars, there is also a library and chemist. You can also walk easily to the Natural History Museum and Botanical Gardens plus the Edvard Munch Museum. The Metro is within 200yds also so getting around shouldn't be too difficult. There isn't aircon in the hotel, but there are plentiful fans for guest use. We didn't stay when the weather was stifling so I can't comment on what the hotel is like in the heat I'm afraid. If you're looking for 5* this isn't the hotel for you. 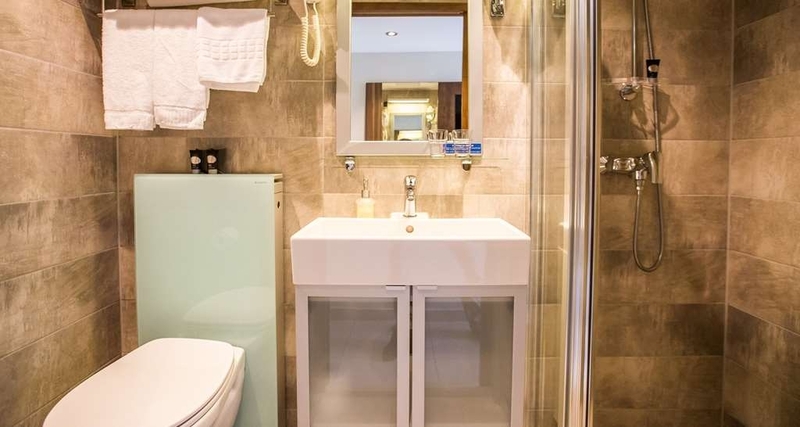 But if you're looking for a comfortable, clean hotel then you shouldn't dismiss this one. We were impressed with the team that helped us. "If you do not pay for gold chairs, you pay for good service"
The room was ugly but new. The cleanliness was great! We were at the level of the road with a window, made us feel a bit nervous. The lady at the reception was the rudest person I have met in whole Norway during our 15 days trip. We spent only a night there! Nice building and very nice reception-area. We had requested a room with balcony, which we did not get. But the room was nice and clean. Also the bathroom was nice and clean, but the toilet was cramped in a corner between the shower and the sink. Also the room had no refrigerator/minibar and no aircondition. This was a bit unconvenient when the outside temperature was over 30 degrees celcius. Ok location, just a short walk from the subway. Ok hotel for a weekend, as long as it is not too hot outside. The main disadvantages was no air conditioning when outside temperature was 30 degree, so I reccomend difrent hotel when is so hot. Room was clean and cosy. Nice and variety breakfast, but coffee was flat. "This was a Dump.. Turn back now"
We booked this very last minute with Hotwire. This was a horrible experience. The building and the apartment smelled. The bathroom was damp and gross. The bed felt like a board and the sofa bed our kids sleep was about to cave in the middle. The furniture was from the 70's. The apartment had no A/C and the windows wouldn't open. The deck door was about to fall off too. "Enough for a short visit to Oslo"
We stayed there over a weekend in Oslo. The hotel is a short distance to metro station. In the hotel you have all basics to enjoy a short vacation. Although it's not a luxury or business hotel. The personnel are helpful and kind. Maybe they can be a bit more smiling and friendly sometimes. The hotel has a parking which will cost 250 NOK per night. "AWFUL!! STAY AWAY FROM THIS HOTEL!" When we entered the hotel room we realised that the room was in boiling temperature. I tried to control the temperature but couldn't because the control system was broken. I called the reception at leat 10 times, no one picked up the phone. I went down to talk to them. The manager said leave the window open for 10 minutes and it should sort out the temperature. I was surprised with his careless response. When I asked to change the room, he simply said not possible. He started to argue when I said I have my pregnant wife with me and she will be sick if the temperature is not sorted. He was not helpful at all. I went back to my room and left the window open for over 2 hours. The temperature didn't go down. I had my 7 and half months pregnant wife with me. We both were sweating constantly and couldn't sleep for the noise as the window was open. I went down to the reception again at midnight and told them the situation. Then there was a Chef(not sure why) at the counter, who denied to come and check our room. I was so upset at that point and said I will sit in the reception until someone sort this out. He then came to the room and tried to fix the temperature controller but couldn't (He clearly is not a technician and doesn't have the skill to fix it. Not sure why he will be left in charge.). He then talked to the manager and asked him if it's possible to change the room. The manager again denied. The Chef then suggested the same thing, leave the window open. Me and my pregnant wife were shocked at his response. He then left. We left the window open the whole night but still couldn't sleep because of the noise. Also when the window was open, the room was getting more hot because the of malfunction of the temperature controller. Our sufferings was horrible which ruined our holiday. Also the behaviour of the staff of the hotel made it even worse. If you don't sort out your staffs, you will lose your business. I am a regular customer and this is for the first time I had this awful experience both with the room and service. Next time, I will not book with Best Western. It will take a long time to forget this experience. "Not really recommend . Non lo raccomando." The interior of the tiny room was a bit old, but ok for a night, there even was a small kitchen unit in the room, which in my mind is unnecessarily placed in such a room. There was no carpet on the floor in the room, but it was tiled. The elevators in this hotel were really slow. The wifi worked well for streaming. There are some restaurants and the metro station Tøyen nearby. The Munch museum you can reach in a short walk. "Pleasant stay at a very convenient location"
We stayed for 5 nights for a combined tourist visit and visit to the Holmenkollen Ski Festival. The rooms were clean and well maintained, they were facing the main road so had balconies and the traffic did not cause any noise issues. Breakfast was very good and as my mother needs gluten free food, the bread and crackers available were helpful. 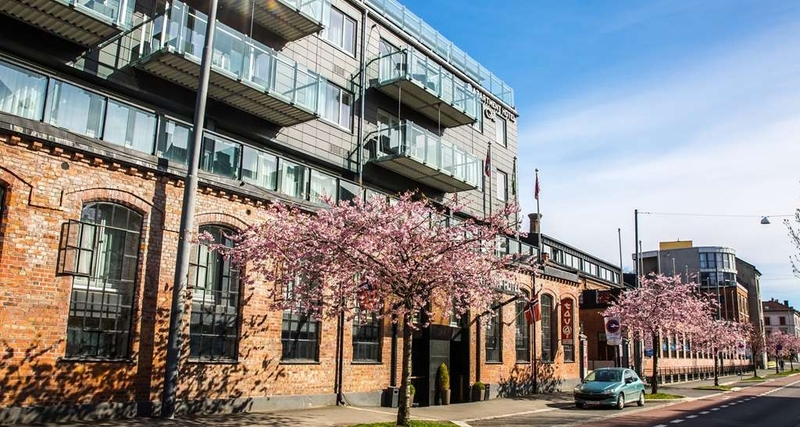 The hotel itself is very conveniently located only a few minutes walk from Toyen T Bane station which is only 2 stops from Oslo Central Station and there are also bus stops within a couple of hundred yards. We did not eat evening meal there so cannot comment on that. "Disinterested and unhelpful staff, cold, institutional architecture, unintersting location"
I had a feeling that the Best Western Kampen in Oslo wasn't going to make my list of favourite hotels from the moment I walked in. The lobby is so institutional it feels Like it belongs in a hospital. The person at the desk was a young woman explaining to a guest that she couldn't give her an extra blanket...her only suggestion was that the guest try turning the heat up. My room, in contrast, was as hot as an oven, and the thermostat had no effect...I had to sleep with the window wide open. I had a kitchenette...clean, but absolutely minimal dishes, no pots, no dish soap or dishcloths or tea towels, no salt or pepper. And the only table was a small, very low coffee table. Likewise, it had a small washing machine, but no laundry soap or indication where you could get some. The bedroom was austere to a fault and was filled by the bed...no drawers or shelves. The desk person the next day had no street maps and only a couple of brochures, and the breakfast...not included in the 2000+ NOK room charge...was uninteresting. All in all, disappointing. "Lovely Accommodations in a quiet area of Oslo"
We ended up at this hotel because of the hotel strike (our original hotel was fully closed during the hotel strike). We were pleasantly surprised at the location and our room. We had a little kitchen that had everything we needed (even a convection oven!). We were so close to the subway that took us to central Oslo, which was only about what felt like a 5 minute ride. I loved the free breakfast too! Good hotel, location is very good, easy access to public transport. Only issue was no hot water on our last day otherwise comfortable , quiet and very clean room. We found it easy enough to walk to most places from the hotel. There is a restaurant downstairs but we didn't use it. We had to leave a make up the room card for our room to be serviced. We stayed one night. As budget hotels go it was fine. Clean and well presented room and a bar in reception if you need drinks/ snacks but we didn't use it. The location is a bit rubbish. It is a mile from the centre of Oslo but it's up quite a steep hill. A taxi cost £16 one way so you need to consider this if mobility or tiredness may prevent you walking. "Great base to stay for touring the city :)"
I have just returned home from 3 night stay in Oslo and can safely say this hotel (as mentioned in the title) is a fantastic, affordable place to stay in what can only be explained as an expensive city. The room was immaculate and although the breakfast was mediocre it ticked all the boxes. Toyen metro station is closely located across the road and is a quick journey into the centre - Karl Johans Gate and good for connections to other city attractions/landmarks. Great for a young person like myself if solo travelling but would equally offer a very warm welcome to couples and families alike. Recommendations - Ekeberg Park is a must (especially in the snow), Mathallen Foodcourt (eating on the cheap) and Grunerlokka for up and coming hipster art/wall murals. Myself and my partner stayed for 2 nights at the best western kampen hotel. I was slightly nervous after seeing some negative reviews previously, but thankfully we couldn't fault the hotel. 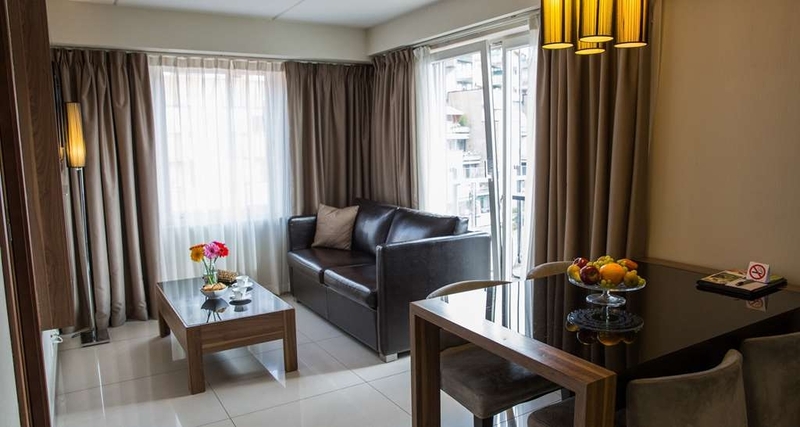 It was in a perfect location for the weekend city break, 2 short metro stops away from the city centre itself, and the hotel being a 2 minute walk from the metro underground. We used the 24hr travel pass (about £9 each) which let you travel as much as you wanted on the metro which went everywhere around the city. The room was clean and modern. The staff were friendly, genuine and helpful. We didn't have breakfast included in the room, but there are 2 nice little bakeries about 1 minute walk from the hotel just outside the metro station for a morning coffee and pastry. Would recommend and stay again! Thankyou! "Location is the only good thing about this hotel "
If all you need is a place for your things and somewhere to sleep, then this is your hotel. The staff are unfriendly, the breakfast is subpar and the features are non existent. I suggest passing on the breakfast and going across the road instead. There are a number of bakeries and cafes nearby that do a much better breakfast. Bad reception, bad hotel owners, rooms wasn't clean. Cleaning ladies doesnt speek norvergian or english so its difficult to get what you want.. only one thing is good its not far away from centrum. Never would recommend to visit it. "Does a decent job at fair value"
Second visit here. This time had a front view room on 3rd floor which was quite spacious but lacked any control of heating other than open window. But street noise is significant as is general noise levels as all floors are tiled. Bed comfortable, bathroom good size and excellent shower. We did have the breakfast which was good and varied choices. The hotel is very good value for Oslo and only two metro stops from the centre. The local area is a bit seedy but is on the up with some decent restaurants in the area. It is certainly good value and worth using. Best Western Kampen Hotell is near Tøyen station. Me and my friend originally booked a hostel/ apartment room. 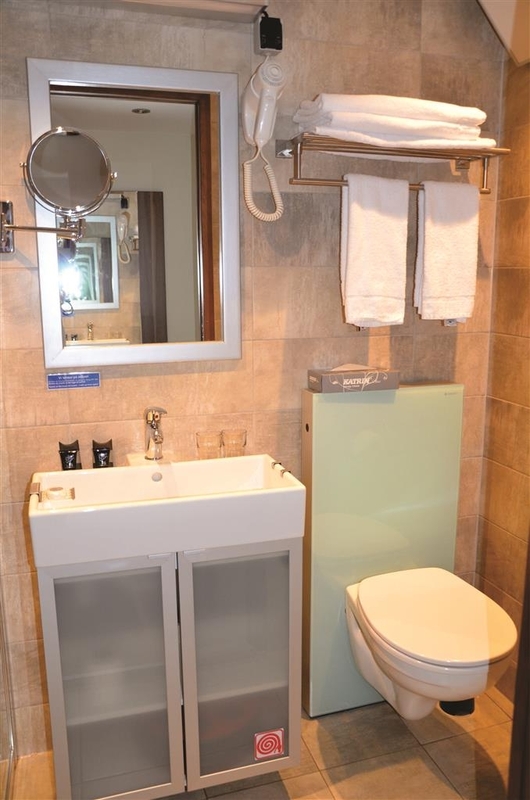 When we arrived, the staff were very helpful and upgraded to a twin ensuite. The room was small but I couldn't complain it was better that what we got. I didn't have breakfast due to the breakfast being pricey plus the breakfast was limited, room was small and didn't look appealing. But I had lovely time and the staff were excellent and would definitely stay there again. This is a hotel you should consider when traveling to Oslo on a budget. It is right across the square from the Tøyen subway station and near the Botanical gardens. The staff was attentive and polite. The lobby is dated, but the rooms have all been newly renovated and as they are tiled, are probably good for people with allergies. The rooms were very clean. Breakfast is only so-so and overpriced for the quality of what you receive. There is an outstanding bakery near the entrance to the subway and we recommend you eat there. The Anatolia restaurant in the same square is also excellent. The Kampen Hotel is not in the center of town, but conveniently located near public transportation (only 4 stops to the center). The Munch museum is within walking distance. 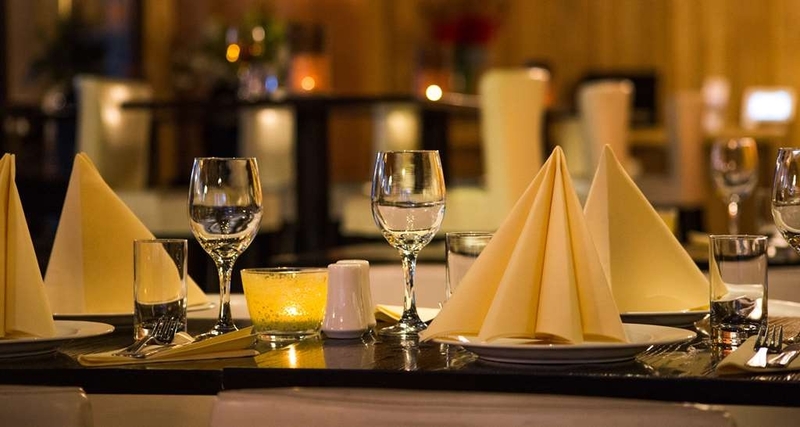 There are several places to eat nearby, although the hotel staff wasn't too helpful in recommending any. We particularly liked the Turkish restaurant, Anatola, about 5 minutes away. Rooms are small in the hotel, and I had some difficulty with the type of room reserved but it was sorted out in the end. Great breakfast! After reading through the reviews, we never experienced many of the difficulties and or issues shared. We arrived in the late afternoon from Amsterdam. The front desk person was polite not abrupt and social. Our check in was easy no issues. We received a room on the 5th floor and it faced the main street. The hallway lined with grey granite tiles, security cameras, and steel room doors - almost prison like or asylum feeling. Inside 2 twin beds, no a/c, no fridge, large screen LCD, poor spotty WiFi, no USB charging ports, operating windows, standard toilet, small shower stall with sliding doors, ample hot water the tank was inside the bathroom which made it quite warm. The hotel was clean and quiet at nights. Our stay included breakfast which was average, or 150Krona so expensive. The hotel is close to the subway and Munch museum and Stockfleths a coffee shop somewhat affordable. The hotel is close to grocery stores and a few choice restaurants but $$$$. Oslo does live up to being the most expensive places to visit. "The worst hotel, hotel staff & property ever." Rather than write out a long winded review, I'll summarize it in bullet form. You can then decide if these are concerns you, as a traveler, have. There may be some who enjoy having coffee grinds in their fresh brewed cup of coffee or maybe like a room that's stifling and over 80 degrees, or even enjoy coming and going through your window. 1. There is no smoke alarm in the room, no telephone to contact the front desk (or call for help), the cell service is spotty at best and the internet constantly reboots. I prefer staying in places where I can easily reach someone in the event of an emergency or be woken up if there's a fire. The hallways and doors that lead to rooms has no ventilation and one would probably die of smoke inhalation if there was any smoke condition in them. 2. There are no screens on the windows. This means that if you win the lottery and get room 2025A your only relief from the +80 degree room temperature is to open the window. Your windfall is being able to go out of your room and right onto the sidewalk. You might not be encouraged that this means someone you don't know might want to enter your room that way, but it would certainly give you an easy way of getting out in the event of an emergency. A real concern for me to think this hotel does not care about safety and that anyone who literally wanted to get in this hotel could. We know about this room because this was our original one. 3. Room temperature. I prefer being able to get some air or run a fan to keep the air circulating. They know there is a problem because they give you a plug in fan but they give you no means of cooling the room off. In our replacement room we were able to open a french door but had to put pillows in front of it to keep it open. We were concerned as it wasn't really very high from the street but we really had no choice as we didn't want to suffocate. This could explain why housekeeping doesn't actually make the beds properly, they can probably only spend a few minutes in the room without feeling like they are going to suffocate. 4. Water, water everywhere in the bathroom. The shower has a series of sliding glass/metal doors that are supposed to be "on" the railing but in our room, it wasn't. Without a proper fitting shower door, the water flies everywhere. I'm guessing this is the norm because nasty customer service woman was told about it when she was in the room and when we came back later that day it hadn't been fixed. 5. Food. I'm sure the buffet was good when the food was first put out and perhaps coffee grinds don't always seep through the filters, but when we finally got around to eating (more about nasty hotel staff coming up shortly) there wasn't a whole lot left that I found appealing. 6. Hotel staff - Nothing makes you feel like a really important customer like being told that your room isn't "hot" according to their standards and they have lots of other rooms that are, in fact, warmer. Who on earth finds this acceptable? If I have a problem with something the solution is not to tell me I should be grateful to have a room that isn't the hottest in the hotel? It wasn't bad enough that nasty customer service woman insisted on going with me to my room because she didn't believe me when I said it was hot but yet continues to argue with me that it's too bad if you don't find the room comfortable enough. I don't think this is how most customer service people in Oslo behave so maybe it's just this hotel that specializes in this behavior. Even when I pointed out to the woman about the coffee grinds in the coffee she insisted the grinds did NOT come from inside the thermos!! Did she think I traveled with grinds in my suitcase just so I could make my newly poured cup of coffee look more attractive? The hotel itself is located within walking distance of the Botanical Gardens & Munch museum and that was the only thing that we were pleased with. There is absolutely nothing "Best" in this best western and even when I was told someone in Oslo that represents the hotel chain would reach out to me that never happened so this is a nightmare of a hotel that continues to sucker in tourists every day of the year. This is a good hotel located a little bit on the edge of Oslo. But there are subway and buses so it's easy to get to the city center and to other sights. The hotel has medium standard but has large rooms. The breakfast was good. I got off the metro at Toyen at about 10pm and had to walk past several shady looking characters before arriving at the hotel. Every time I passed hotel reception there was a queue of 3 or 4 people, but only ever 1 Receptionist. My room was on the 4th floor and quite warm, so I opened the window only to find that it opened onto a patio for use by anyone, so I had to sleep with the window closesd all night. When I went out for a morning run I first checked my door was closed and it wasn't locking. I reported it so Reception and was advised that it sometimes takes up to 5 minutes for the electronic door to lock. Breakfast was included in my rate but I didn't eat it. Friends of mine staying at the same hotel on the same night had to pay extra if they wanted breakfast, but their room rate was the same as mine, so check several websites before booking this hotel if you want breakfast included. "I saw a review stating: "You get what you pay for""
And that statement is absolutely correct. The hotel has a nice fresh first impression, but the room is way to hot and I had really trouble sleeping. Also, the bed was pretty hard. The room was clean, but, had a harsch smell of chemicals. On a recent visit to Oslo, the 3 of us, Mom, Dad, and 21-year old daughter stayed at the Best Western Kampen Hotel. Very disappointing. The rooms were very awkward to get to with our luggage ... up and down various industrial type outside ramps and inside staircases (no elevators) ... the curtains were tattered and didn't close properly ... the windows didn't close properly ... sound insulation was abysmal ... it was very noisy due to traffic all nights long along the busy thoroughfare just outside. On-site restaurant is dingy and not welcoming. On site parking turned out to cost about Euro 20/day. Overall experience, 2 out of 10. We wouldn't go back. "Onsite parking, good location, but ........"
This property is well located with access to the city underground a couple of minutes walk away. The Reception staff were amiable & helpful and the breakfast team's manager was very efficient. We had a room at the back of the hotel away from the road - it was clean but obviously had thin walls! It would be difficult to swing a cat or, indeed, a Manx kitten, in the small room but it was adequate. There was a rattan style furnished large, communal terrace outside the room (not just an ashtray!) and if that was occupied by revellers then it would be (probably) unbearable; it rained so thankfully no-one was literally outside our room, every cloud and all that! On site parking is available but MUST be booked as there are only relatively few spaces. Due to the available facilities and the location we'd probably use Best Western Kampen Hotell again but certainly avoid the floor and rooms with the outside terrace the other side of the window. "Cheap but not tacky "
Cheapest place we found to stay. The area is a business/ethnic area. Shops and restaurants nearby and easily accessible to the metro which is a 5 min walk away. Very good location. 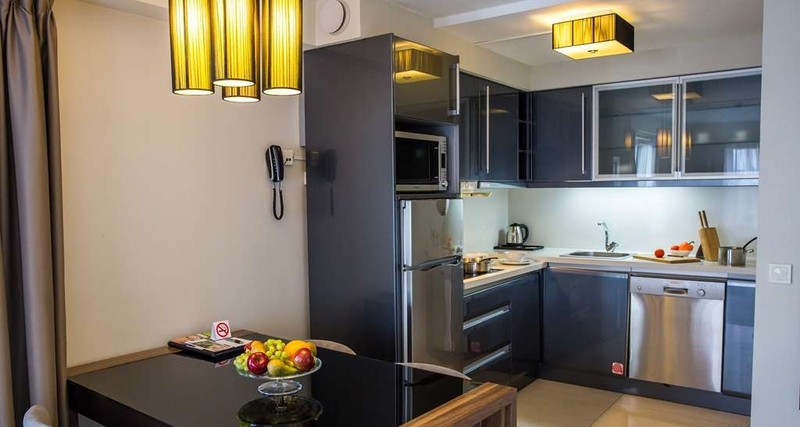 Facilities to cook in the apartments and nice big rooms. Plenty of space for 3 of us to stay. Good choice! "Need more cleaning employees "
This hotel is clean, and well located close to several bus stops (20 and 60) and the metro station Toyen. Close to it a small place with several restaurants and a shopping mall (Kiwi) with cheap prices. The room is large enough for a single person or a couple, may be not for a small family (for instance no many spaces for dresses). TV have international channels in English, French, German (using the analogical mode) However we were not very satisfied with the room. Room 2001B had a leaking shower. Hopefully the girl at the reception desk was helpful and gave us enough towels to dry the floor. Also the magnetic card stop working after a while, even if we kept them apart from our mobile phone as been told. Also the door doesn't have a lock inside, and it happened that several people knocked the door and enter even if we said we did not want to be disturbed. When we arrived our room was not clean and later in our trip (it was Sunday ), again the cleaning lady did not clean our room until late in the day. 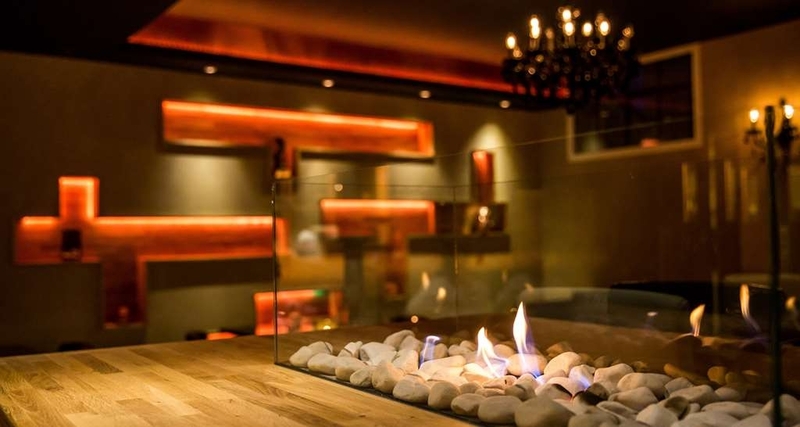 However the lobby is quite cosy, with a nice restaurant and a little coil fire in the middle. Employees in the lobby are quite helpful and we were kindly welcomed. "Reasonably priced hotel, good location, good value for money." As visitors to Norway will know, Norway is, for most visitors, an expensive country and is a place where it is quite easy to pay eye-watering prices for hotels, drinks, food etc. 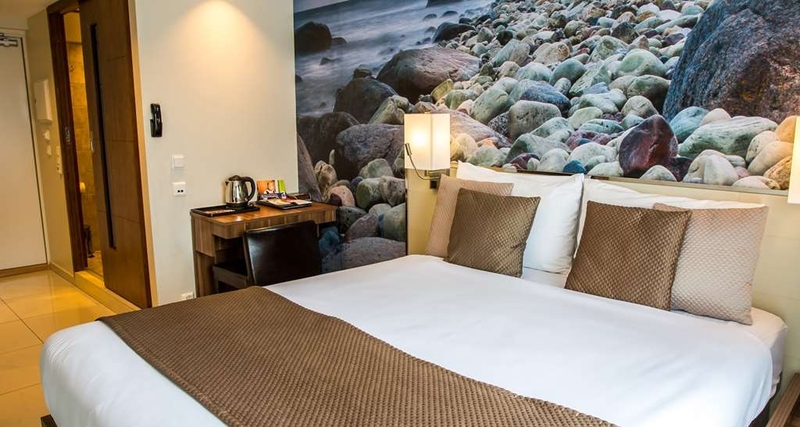 However, if you are willing to be flexible and not too fussy, then you can find things at a more reasonable price like this hotel - the Best Western Kampen Hotel. 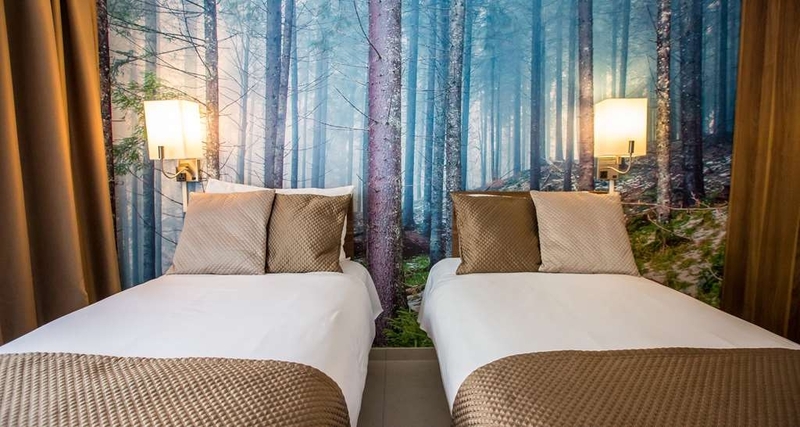 The hotel is well-situated near the centre of Oslo and is comparatively reasonably priced. Rooms - the rooms are not all laid out like a normal hotel. Some rooms are normal, just like a regular hotel. However, some rooms seem to be part of a small apartment which contains 2 or more rooms. You enter your door by doing into the relevant apartment number and then into your actual room. Each apartment includes a shared small kitchen with some appliances. Once you go into your own individually-locked room, things are more normal. You have a door to your apartment and your own key. 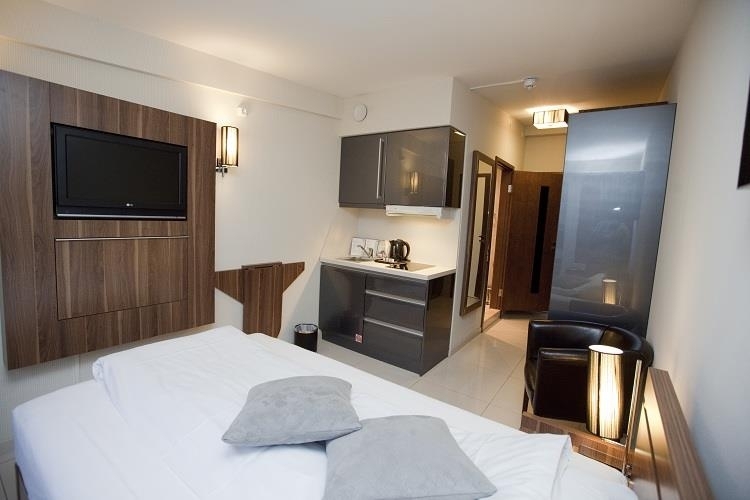 In the room there is a comfortable bed, good heating, en-suite bathroom and TV just like you would expect. The TV channels are very restricted so don't expect a wide range of multi-lingual programming. 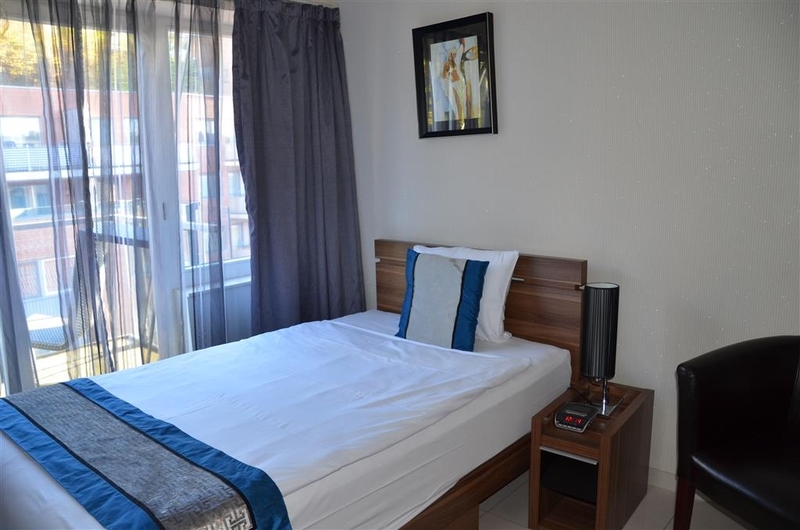 The room is nice and clean and the bed and furnishings are adequate and comfortable. The bathroom is well-equipped and clean. My particular room suffered from noise from outside the hotel but it is, after all, a budget hotel in a central area. Breakfast - is included in the price for all residents and is excellent. A really nice and wide range of nice food, presented in a buffet, and there should be something for everyone's taste. 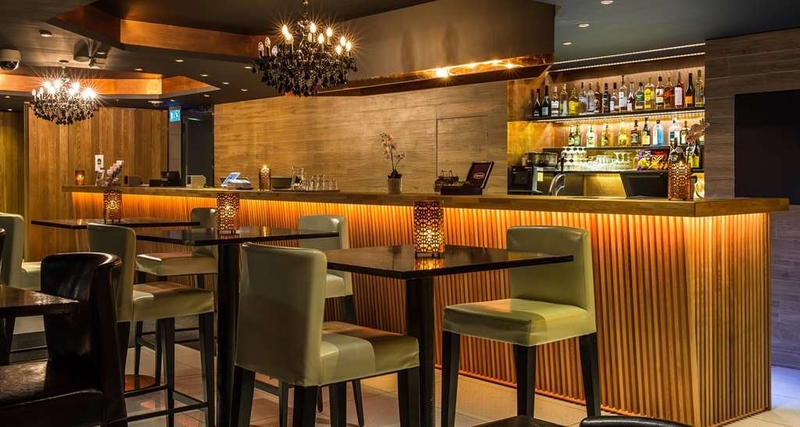 Travel - this is a really easy hotel to get to from the Oslo airport. Take the Flytoget airport express train from the airport to Oslo Central Station - from memory this takes about 35 minutes or so. Then from Oslo Central Station you could take a short taxi ride to the hotel or you could take a Metro/Underground train for a few stops to Tøyen Station. The hotel is just round the corner from Tøyen Station. Do not, whatever you do, take the taxi from Oslo Airport as this could cost you an outrageous amount of money. If you must take a taxi from Oslo Airport then make sure you pre-agree to price for this. Otherwise your taxi journey will be charged by the meter and you will be charged a fare a lot more than your worst nightmare. My strong recommendation is to use the Flytoget airport express train. All in all, a convenient and well-priced budget hotel in a handy location. I must also give a thank-you to the friendly staff at the hotel who were great. Stayed in this hotel when we arrived in Oslo and was in an older part of the hotel and wasn't very impressed. However on our return to the hotel we were in the more modern comfortable room. The hotel is near Tøyen station so is convenient for going into the city and the local shops were good. This hotel is very basic in all sense of the word. Rooms are very small with no spare room for even the luggage. Breakfast is average but has the basic variety of food. The walls have poor noise insulation and your neighbours are noisy, it is rather unpleasant. The area has some food outlets, Turkish, Thai and Norwegian but that's it. Token is not too far from the city and one can walk to the city if you don't mind a 20-min walk; otherwise the metro station is very close and frequency is high. Best Western hotel is not a luxury vacation hotel, but is a well priced, comfortable business hotel. In that light, please do not expect food to be delivered to your room, or laundry either. They have a great restaurant on the ground floor, free-to-use washing machines for your clothes. If you expect twice a day room cleaning, then you are in the wrong hotel, but for generally efficient hotel, you are in the right place! "Good value for money, near to city center"
I stayed two night on a work trip: my room was comfortable and also the bathroom. Fornitures were new, everithing clean. No closet, so this kind of room is not good for a long stay, perfect for a short work trip, but I've seen the hotels has bigger room and also apartments. Good breakfast with plenty of choiche. The restaurant has been renewed and is more "warm" looking than the pictures here on tripadvisor dated 2015. The hotel is very near to the metro stop of Tøyen that is two stops from the city center. "A Nice Hotel in Oslo"
This Hotel in General was nice cleaned and special almost all the reception people was helfull and nice , the breakfast was also all you need to eat. The room that I was was nice and big and clean all the time. We stayed at this hotel in February.2017. Well, first thing that people should know about this hotel is that it is really - apartment establishment and not conventional hotel. This is to say that, if You really want a cheap place to stay - then this is definitely the spot. The rooms are quite affordable and if You buy and prepare your own food, you will get below the budget (comparing with other hotels). The room was on first floor and had no view (apart from the view on the sidewalk below). Downside was that it had no carpets but just plain marble(looking) tiles that gave it somewhat uncomfortable tone. I'm guessing this is quite suitable for cleaning and maintenance, but it downgrades the room comfort down to the level of a prison cell. The room had washing machine, but no means to dry the laundry. Otherwise, the bathroom was clean and quite cozy. There were many broken things in the room that required repairs (coat hanging cabinet was not fixed to the wall and threatened to capsize at any given moment, the extra bed was threatening to collapse down on the luggage and the table, the foldable table underneath the TV-set was broken). All in all, the room was not safe for minors because of all these things and because most of the furniture had plain sharp edges, but for an adult - it was OK. The cleaning service was irregular and not available on weekend, but in general - it was OK. The room was cleaned and the sheets and towels were changed on regular basis. However, due to winter season and a lot of snow outside, a lot of dirt accumulated on the tiled floor so, again, either a carpet or more regular cleaning would help. The breakfast was ridiculously expensive at the time (150 NOK per person) and getting to know that you can get really nice coffee and breakfast to your liking at the bakery (literally) 30 meters away, for half a price - made me scoff at this service a bit. Anyhow, we've used it once and it was fantastic. But nevertheless - expensive. However, the hotel restaurant dubbed as somewhat Mexican restaurant during the evening hours and, although being somewhat pricey, we quite enjoyed our meal there. Both for quality, service and the ambient. That is somewhat I could recommend (apart for the price). The location of the hotel was indeed - good. The subway station was some 50-60 meters away and in matter of minutes, we would find ourselves in the dead center of Oslo (Central Railway Station). Also, as a +, there were Munch gallery and the botanical gardens nearby (no subway was necessary for that), but being winter season and somewhat off the schedule, we did not go there. Bottom line: the location is - very good. Now, would I recommend and choose this hotel for a private trip. To a student - definitely, but to a family - I'm afraid not. However, would I mind sleeping here again if everything else was booked or just over my budget - Yes, without a second thought. I stayed just the one night here but was impressed. I got a great deal on the hotel as well which was why i picked it but would stay again regardless. Although the room was small, it was fine for my trip (business). Versus a BW in the UK and others i have stayed in across the Nordics, this was the best so far. Breakfast was also good. A good selection on offer with hot and cold options. The staff were also very friendly and helpful. I didnt arrive until about 1AM either so thought i might have issues getting in or checked-in but there was someone on the best and the doors were open, so it was quick and easy and was in the room within 5 mins which was just what i needed at that time. "Theft at hotel and no management response"
We stayed 2 nights on the 4th floor (of six) in a rear facing room. It was very quiet. The room itself was small - no space to unpack a case other than on the bed (where then does one store it?). 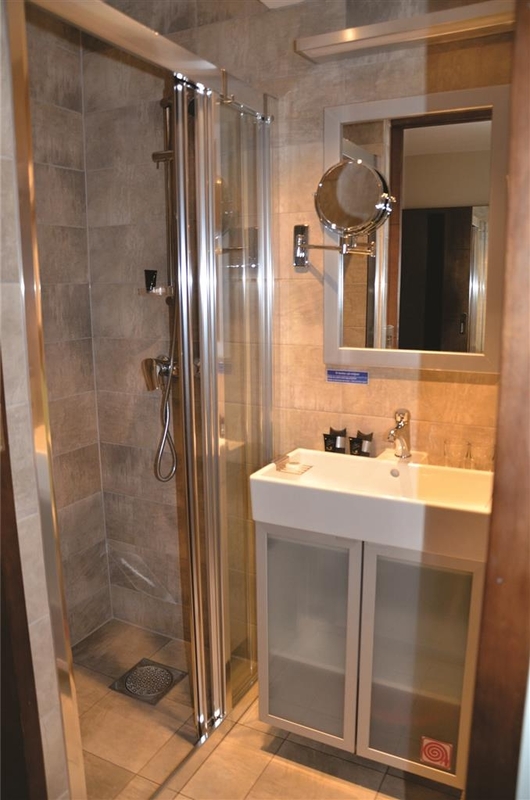 but the room was very clean, the beds comfortable, and the shower excellent. Breakfast was good - lots of hot and cold choices. 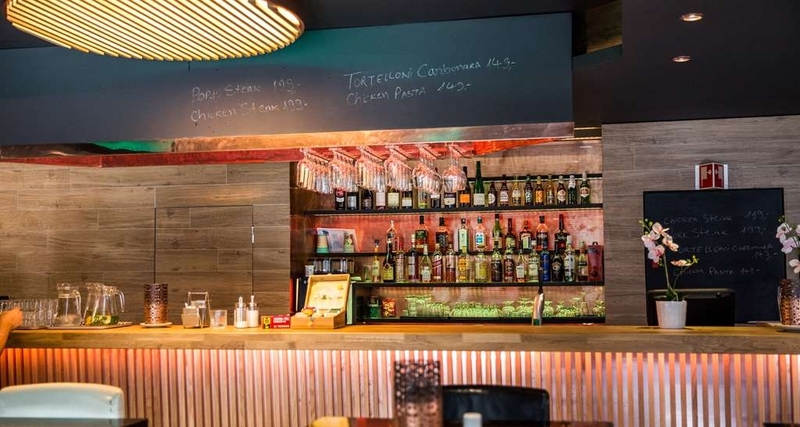 The hotel is ideally placed for access to the city centre - 5 metro lines run through Toyen T-bane station which is literally a 2 minute walk across the road. There are also shops and restaurants in that precinct. All in all a good experience - we will return. Nice hotell near the Metro station (400 meters) The room was not big, but clean! We had a room at the front (street) side, in the evening it was very noisy, but during the night the street was very quiet! Good breakfast! Good base for a short trip to Oslo! "Nice appartement-location in gamle oslo"
We stayed here with three and had a cosy and spacious room ! Garage was adjacient and there is a little sort of bistro with some crossover food. The lobby was busy and the room quiet. There could be a bit more love in the presentation of the breakfast and maybe some choice of vegan food - but in conclusion a good place to stay in Oslo ! "The worst hotel in my life "
Firstly, Oslo is the city where everything is superb, so are hotels, I believe. Best said about Best Kampen, the apart-hotel's indiscrete location in a quiet eco-green zone of Oslo - and full kitchen complete with a microwave and crockery in the room, not to forget free use of an iron and what more for one's needs. Oh, and the great Indian chef on top of TexMex cuisine and a lush breakfast spread. Plus friendly stuff and ample city information desk. Nicely made and catered for rooms. All of this makes for a crowd of guests flocking in - particularly those on a budget. But I soon discovered yet livelier spots outside, even within the same hotel group. On the minus side, I have to mention the dull area Toyen void of attractions other than the Gardens. No warm heated floor in the room (I caught a cold walking barefoot). The double bed is in fact 1.5 size. An odd window overlooking a shabby house opposite with occasional nightly noises and (gosh!) smoking. Mind, the hotel is non-smoking, strictly. I wish there were more socializing, mixing, amusement, animation, live band or something I normally see in Spanish hotels of this grade. I understand Norway is on the expensive side for all of this but still I missed the grandeur this time. the room i got was not very comfortable. even if the room was on the second floor of the hotel the rear window directly on street level. that would have ok, but the electric devices and especially the empty fridge were kind of buzzing the entire time. so at the end i had to switch out the electricity and even unplug the fridge. the room was also net very clean. the breakfast was however good. 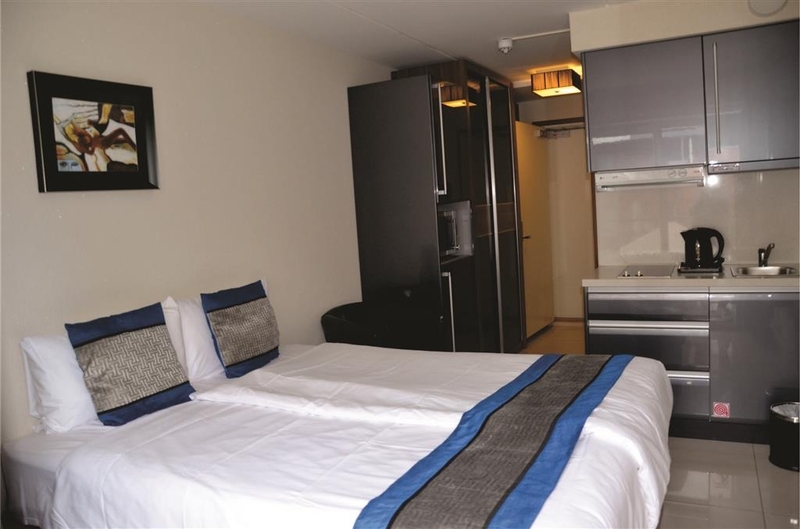 Very clean and spacious room with very comfortable beds. The Wifi coverage, is one of the best that I found provided by a Hotel. Very close to the subway. The breakfast is a must have. A lot of variety with eggs, fresh fruit and so on. Definitely, I recommend it. A great choice in terms of quality vs price. 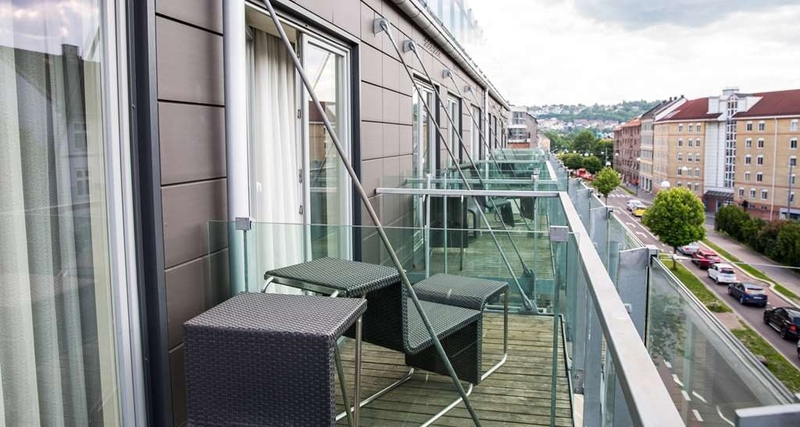 "Good option not too far from city centre"
I spent here 2 nights on a business trip. The location is not so central, however the metro station (Toyen) is a 4 mins walking and just 2 stops from Central Station. You can buy a day travel pass directly from the loca transport App, for approx 10€, super convenient. The room was rather spacious, modern and comfy. Breakfast was pretty good, however I personally cannot accept that still some hotels msy charge for non-american filtered coffee, or basically for a cappuccino made with a mediocre machine. Anyway thanks to Satnam, the restaurant manager, for understanding my point. Close to the metro station, there are several cafés and restaurant (I can recommend the Thai) as well a Coop supermarket. A last remark, the second day I left my room for some business meeting and came back at around 16h45. My room/bed was not made up and house keeping only passed by at 5pm! I didn't really mind (had not a real need of having it made up) but I guess this is an issue they need to address asap. Overall, in my opinion, this hotel is quite a good option even though not super central, as a base to explore the city. "A long we in Oslo"
The hotel is just 600 mt from the famous Munch Museum and underground stop of Tøya. Breakfast is at around 15 € but is a very good start in the day. Rooms arte small studios with kitchen, frigor and open. Confortable and silent. The worst worst worst experience ever. Trust me, there is nothing like the picture which showed on the website. People are queuing up for comparing. The staff is lying and finding the excuse. Like a refugee camp. The five star comment I assume the owner who have commented. "January 2014 in this Hotel"
Hello! Our family was in this hotel in January 2014. It was long time ago and it s pitty to see many negative reviews now. Anyway, at that time everything was nice. We had a room for 4 people. Staff was quite polite and friendly. I guess it was mix of norwegians and foreigners, but anyway no problem with that. The food was really nice. We rented apartment (so not the hotel, but the next building). It s nice and quiet place. Yes, quite multinational, but that time it wasn t a big issue. So, we were quite happy. Small, dirty room, broken AC, leaking shower, for breakfast stick to the cereal and worst of all terrible staff. Enough said. Oslo is a great place to visit but not here. The staff in the petrol station close by were more friendly! "Terrible and dangerous, aggressive and lier receptionist"
The Indian guy that he is working on the evening at the reception he threatened me on the lift after that for 2 night we found our room dirty still with the towel on the floor and I asked please to fix this! Really terrible experience and only after the guy of security come we had some towel clean! This hotel didn't wow me in any way but I'll review it relative to its price-point, which for Oslo was relatively low. The decor in the corridors was a bit grey and gloomy but the rooms were funkier and the beds were comfortable. The hotel is very warm, especially the bedroom, most likely due to the very large water heater in the ensuite. There was also an odd moment with the receptionist who took us to the lift and then told us we couldn't use the lifts as they were broken so we'd have to walk 6 flights of stairs with our luggage. As this happened, a man came out of the lift perplexed by this and simply said "the lift is working...". 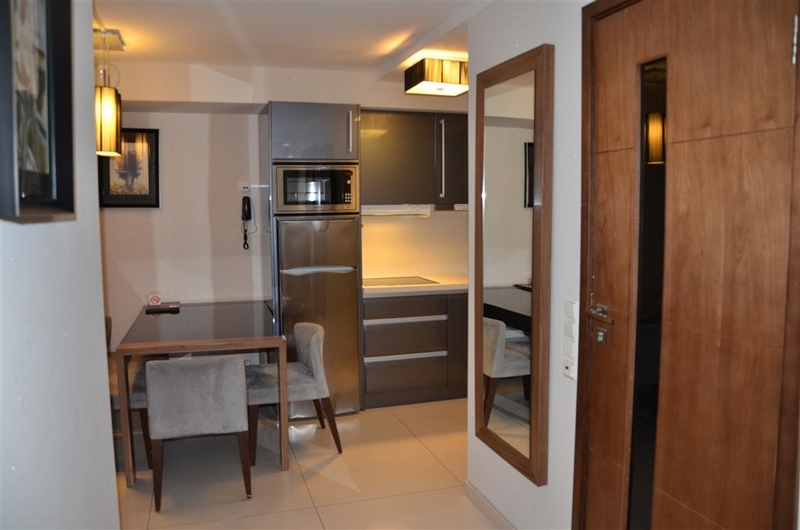 The hotel is good value for money, located two metro stops from the city center. Extremely friendly and helpful service from the front desk. The rooms are small, but well equipped. The breakfast was quite varied and of higher quality than expected, considering the price of the hotel. Rooms are well equipped, not that large but many of them has balcony. There is a quite large terrace however always open for friendly gatherings. Bathrooms are smaller than I imagined, on contrary it has everything you need. Breakfast has nice variety to choose from, the only thing I missed really is the regular european espresso coffee. Staff were polite and helpful all the time. Neighborhood of the place is multicultural, and peaceful. Comparing average prices in Oslo this area has a lot of cheaper shops, markets and restaurants. Famous Botanical Garden is nearby which must be visited if you travel here. Mass transportation is close with Underground connection to the city centre. I stayed at best western hotel by booking a studio apartment. It was clean and cosy. Nice place to stay and within 2 mins of walking distance of the Toyen metro station. We had a deal with the manager with the amount including the Apartment rent + the breakfast. I stayed more than a month and loved it. Would love to go to the same place again if time permits. Dear Guest, Thank you for your kind review "Nice place to stay" posted on Tripadvisor.com. It was indeed a pleasure having you stay with us, as we are also glad to know that you enjoyed the “amenities and the breakfast” and its great to know that we would have you stay with us again in future. Looking forward to welcoming you again at th Best Western Kampen Hotell. Kind Regards The General Manager. "Extreme sour and unfriendly staff"
"“Lovely Hotel, little distance form the centre, but excellent”"
Great staff and service, comfortable bed, no complaints at all. Check in faultless promote and courteous A little distance from the centre, price was reasonable relative to the general cost of hotels in Oslo. Arrived at past midnight to be told there was no booking for us. The hotel were running a dual registration system and our booking was nowhere to be found. We had a weekend of embarrassment our payment questioned, being asked to pay again and needing to print off credit card statements as proof of payment with the hotel saying they we needed to pay as they hadn't received it. Our card key was deactivated on two separate days and we had to ask for them to be reactivated. We were told on the first morning on our way into breakfast that we hadn't paid for that either. Our room was smaller than expected, the curtains were dirty and not all rooms had kitchens as expected. No apology was given. The hotel offers not only a good location, but also a great and helpful staff. . My single-room was very clean, I slept like a baby on the very comfortable bed. In the morning, I had tea and instant coffee provided for free as there was a kettle in the room. The flat screen TV offered satellite TV, but I was more into the free Wi-Fi(great connection ). The balcony was a much treasured plus which offered extra space. The location was another advantage. The Munch museum is within walking distance, and a bus- stop is directly outside the hotel. Further up the street you will find charming Kampen. The metro with lines across town is across the street. "Clean, smallish room for a reasonable price near a metro station." The room was clean but a bit small. The double bed was also quite narrow. The room didn't have air conditioning but there was a small balcony. Price was reasonable for 100 eur/night and Tøyen metro station is right next to the hotel with good connections. Claims to be a 4 star hotel, no - it's a 2-star apartment hotel about a 30 dollar taxi fare from the central station. Rooms are small and inhospitable, service is slow and the food is better at even a fast food joint at 25% the price. Rediculous! Best western should visit this misery themselves. Dear Guest, We are sorry to read that your impression and experience with the hotel turned out this way. I am also sorry that you did not contact us during your stay so that we were able to do something with it immediately. Our staff always wants to provide the best service and they were sorry to read about your experience. We are here for our guests and to provide them with good guest experiences. We apologise for the inconvenience caused and look forward to welcoming you in the near future. Kind Regards, The General Manager. "Great Hotel about 15 min walk from the Centrum"
I have stayed there before, it is modern and has also mini Apartments with Balcony´s. Clean rooms and very nice and helpful staff. This time the Mexican Resturant was open after winter sleep and they have a good choice of food. Recommend the Nachos and the Fiatas. The room is all you need for a business trip. It was clean, good breakfast, free wifi and not too far away from the central train station seeing the costs of taxis. They are busy upgrading the hotel and improving the looks. Recommended for a good sleep. The hotel offers not only a good location, but also a great and helpful staff. My 2nd stay here was based on past xperience, and will stay here in my future bookings in Oslo. My single-room was very clean, I slept like a baby on the very comfortable bed. In the morning, I had tea and instant coffee provided for free as there was a kettle in the room. The flatscreen TV offered satelite TV, but I was more into the free Wi-Fi(great connection ). The balcony was a much treasured plus which offered extra space. The location was another advantage. The Munch museum is within walking distance, and a bus- stop is directly outside the hotel. Further up the street you will find charming Kampen. The metro with lines across town is across the street. My best and highest recommendations. If you are looking for a fairly cheap hotel, outside of the center of Oslo, in a multi cultural neighborhood, with fine restaurants and the subway just around the corner, this is your hotel. Who wants to stay in the fancy center if you can experience what real life and living in Oslo is all about? The staff of the hotel was very friendly, breakfast was great, the rooms were very convenient, cosy, tidy and clean. Ok, by foot it's some kind of a walk, but taking a taxi from the center to this hotel, it's not expensive and very nearby. If you are an experienced walker, there really should be no problem. Be honest, do you really want to pay hundreds of euro's for staying in a hotel in the city center? It ruins your days in Oslo, the rest is expensive enough. It's good to safe some money to do cool stuff in this great city. Staying in this hotel all makes it possible. The staff really wants you to have the best of stays. That is what we experienced. Thanks for that! Dear Guest, Thank you very much for choosing our Hotel for your recent stay and for taking the time to write a feedback from TripAdvisor. Our team was delighted to hear that you thoroughly enjoyed your stay with regards to convenient rooms, great breakfast and friendly staff. Our location is extremely convenient for all types of transportation, shopping, food & is even very close to the city centre. Our Housekeeping team takes great pride to ensure room hygiene will always prevails at its highest standards for the comfort of our guests. Thank you once again for sharing your experience and please continue to support us. We look forward to see you again Thank you & we appreciate your business. "Bad service !! Bad organized"
Unpolite service,long waiting time at desk. They are far away from to be service minded. Too expensive 2599 NOK for a room with 70x70 cm room. Too average breakfast for this prise. Will not recommend this hotel. Travel a lot dont often experience this kind of hotel service. Dear Guest, Thank you for taking the time to share your feedback. While I wish you had a better experience, it is feedback like this that we learn from and use to improve. We work hard to deliver an exceptional guest experience, and it's apparent in this case that we fell short. If you give us a chance to earn back your trust, I can assure you that we will do our best to give you the great hotel experience that so many of our guests have grown so fond of. We apologise for the inconvenience caused and look forward to welcoming you in the near future. "Nice short stay in Oslo"
We stayed 3 days in Oslo and Kampen was definitely a good choice. The hotel is close to a metro stop and to Munch Museum. The double room was a nice one, personnel at reception pretty good. Breakfast buffet in the average, car parking available upon payment. A good accomodation considering that Oslo in generally very expensive. "Nice hotel for budget travellers"
This hotel is about 2 km away from the central train station in Oslo. I booked it as it was the cheapest good brand hotel available in Oslo and was more of a last minute buy. Honestly speaking I didn't get the time to enjoy the facilities a lot (we reached late at night and had a flight next morning). The room was rather small, but neatly done. I had a blissful night sleep after full day of trek and travel. The place was easy to locate on the map, but slightly far and didn't seem like a great area. There were lots of hostels around the hotel. The hotel is managed by a very cordial Indian man who offered us free coffee at the bar. :) Frankly, I wouldn't go back to the hotel only because of the location. It didn't seem too great. "Not Central and ontop of a Refugee Centre"
Stayed for 3 nights, its in a downbeat area and approximately 1.8km from the centre not 0.5 as it suggested. The hotel is above the Red Cross Refugee Centre and although it didnt affect our stay it isnt great having people in RedCross tabards wandering though the foyer of a hotel with paying guests. The staff werent particularly welcoming when we arrived. Despite numerous negative feedbacks the manager repeats the same standard response. I've been there with my girlfriend to celebrate our anniversary and first thing I've seen was a camp with hundreds of immigrants. I couldn't even figure out where the entrance was as there are 2 signs for the hotel in 2 different places and 2 different names as well. I asked for parking space and they say it would cost me over 10 pounds per day if I find one. The WiFi wasn't free too. The staff at the desk wasn't very efficient and welcoming either. I went to the room and the kitchen I supposed to have was outside the room with no items to cook. The room was extremely small and no the one I booked on line. There was enough space just for a double bed and a luggage. The bathroom was even smaller and with no windows and the fan was not working. I paid for the breakfast and it was so poor. I told them that I wanted to leave after the first night and they don't even try to make me stay. I've chosen to lose my money for the 2 days I've booked than to stay there. Very bad. Without a notice garage was closed and a refugee center was set up there. Also three first floors of the hotel are now accommodated by refugees as well as apartments in the next building. The noise and hazzle around the hotel is untoleratable. 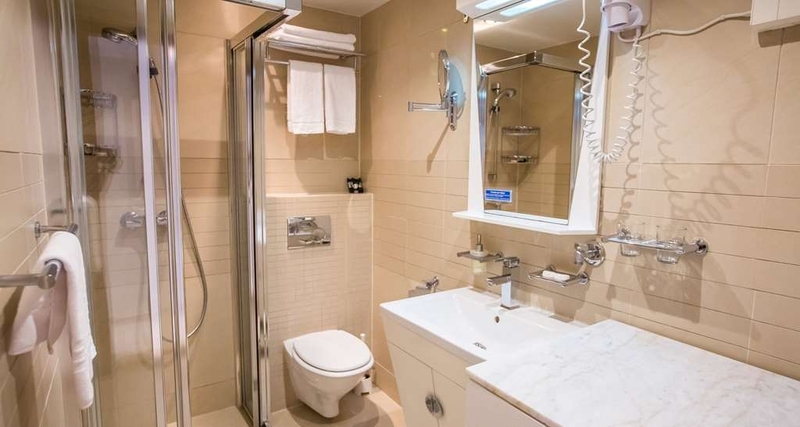 When the best selling point of a hotel is "clean" you should know to give it a wide berth. Admittedly I only booked this property because a conference was on and all the better hotels were fully booked. Upon arrival, the receptionist asked if we would agree to go to a different hotel 5 kms away as they were full. An odd and not very welcoming greeting. I declined! The lobby area carried a VERY strong smell of curry which permeated the floors above. I was on the fourth floor and could still smell the curry in the corridor. I really can't imagine staying here for a long time (or wish it upon anyone), but for those who do there is a washing machine in the bathroom and a working though spartan kitchen. I was cold in bed and the duvet was paper thin. With no extra bedding in the room, I called down to reception. The night receptionist did have a spare blanket, but because he was on his own in the hotel, he couldn't send it up. So if I wanted it I'd have to go downstairs. I was delighted to check out the following morning. Not wanting to eat very lack lustre breakfast buffet, I asked if there was a nice nearby cafe. "No, nothing nice in this area", came the response... "you'll have to take a taxi to a more central location". That kind of says it all. Oh and it was £471 for two bedrooms for one night. So not even budget. Dear Sir, It was a great pleasure having you stay with us . We appreciate all our guest feedback as it is only through your comments we can strive to serve you better. Nevertheless, we regret the inconvenience caused to you during your stay and assure you that this is a rare instance where we did not succeed in providing you the service as per your expectations. Comments like yours are a pleasure to receive and build up our urge for perfection. Thank you for bringing your observations to our attention. We are truly privileged to have served you and looking forward to welcoming you again to the Best Western Kampen Hotell. .
"Good hotel... Not awesome location"
First of all, if you didn't pay your stay before arriving, make sure you call or email or let the hotel know at what time will you arrive, I didn't pay it, and I advice on Booking that I would arrive after 9pm, when I got to the hotel my reservation was canceled and I argue for a time with the manager, at the end he send me to an other hotel really far from the city venter but without cost, and the next night I could come back and stay at the hotel as my reservation said. 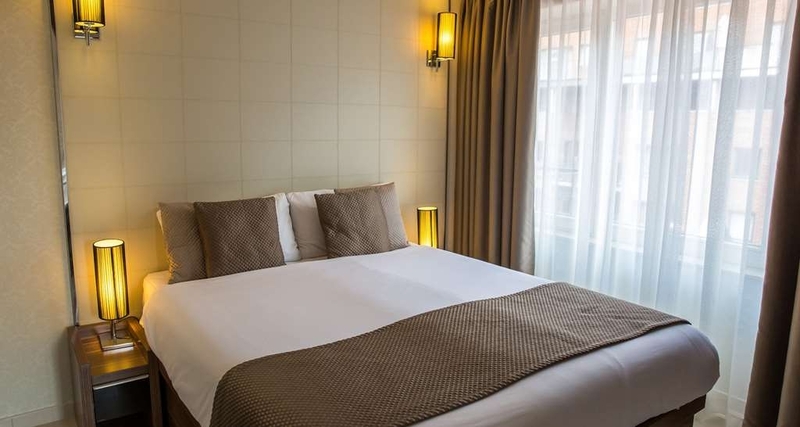 On the other hand, the hotel is clean and the restaurant has a good service and food, the location is far from the city centre, but you have a subway station really close, you have a 7eleven and some grocery stores (this ones close early). If you are going to Oslo for the first time I would recommend you to stay on a closer city centre hotel, but if for some reason you can't find one, this one is the place to be. "Nice exterior, convenient to shops, close to Munch Museum"
We checked in around 3 p.m. and were so glad we did! They only had 2 people working the front desk and by 5 p.m, it was swamped. Parking was in the back and underground for 80 Kr, so that was nice. The hotel is within walking distance to a Coop (Grocery Store/Post office), Apotek (Pharmacy), some shops, gas station, University, the Munch Museum and several small eateries. The hotel restaurant serves breakfast, lunch, & dinner. It was moderately priced. Our room was clean, had a sink, small fridge, dishes for 4, microwave & best of all a washer/drier combo. The drier did not work well and the clothesline was missing. You could see where it had been. This was a non-smoking room, which became too warm. When we opened the windows, the neighbors were smoking on their balcony & the room soon filled with the smell. We called the front desk about it, but smoking is permitted on the balconies. The street noise was moderate. We were surprised to find a fan in the room and used it. We also were pleased to find a safety deposit box. The service was slow, but attentive. The hotel sits inside the shell, of an old warehouse-type building, but inside it is completely modern. Nice and clean hotel, close to Tøyen metro-station. Nice room, and a shared terrace right outside the room. I arrived late in the evening, and there was a long line at the front desk, otherwise a good stay. The room was facing a wery quiet area, so a good chance for a good night sleep.